The murky waters of corporate Nigeria isn’t exactly awash with successful women, its still a territory controlled predominantly by the male folk. Interestingly, times are changing and a lot of women are fast raising to the top of the food chain. Here are some of Nigeria’s board room amazons. She is the highest paid blogger in Nigeria. Her worth is said to be over a billion naira. One of the wealthiest businesswomen in Nigeria, Hagiya Shagaya started her sojourn into corporate Nigeria when she joined the Central Bank of Nigeria as an audit staff. She left to pursue other business interests in 1983. She currently sits on the board of Unity Bank Nigeria and is also the founder and CEO of Bolmus Group International- a diversified Nigerian conglomerate with interests in oil, real estate, banking, communications and photography. The real estate development arm of the group builds and owns dozens of luxurious residential properties in some of the nations high brow areas. The 57 year old socialite boosts close ties with some of the most powerful people in the land including former military head of state Ibrahim Babangida. During the last political dispensation she was a frequent visitor to the villa to see the former first lady Patience Jonathan. TV Producer, Media Mogul, Human Resources Management Consultant, serial entrepreneur and philanthropist, Mo is one of the most powerful and most successful women in Nigerian Media. Born in the UK in 1964 where she spent most of her formative years. She holds a Masters Degree in Human Resource Management from the University of Westminster, London. She started off her career in the UK as a recruitment consultant in 1987. She went on to work for the Starform Group, managing Corporate Credit Management from 1990 to 1992. In 1993 she joined Exxon Mobil to Head Human Resources and Training. She has been described by Forbes as Africa’s most successful woman. Driven by a passion to change the narrative about Africa, she moved beyond her very successful show “Moments with Mo” to found Ebony Life TV, Africa’s first global black entertainment network. With a mix of original reality programming, drama series, news magazines and talk shows — Mo Abudu has created a signature brand oozing class, this master piece in creativity has resonated with black audiences both in Africa and in diaspora. Ebony Life TV now airs across Africa, the U.K. and the Caribbean; discussions are under way to bring it to the U.S. and Canada. 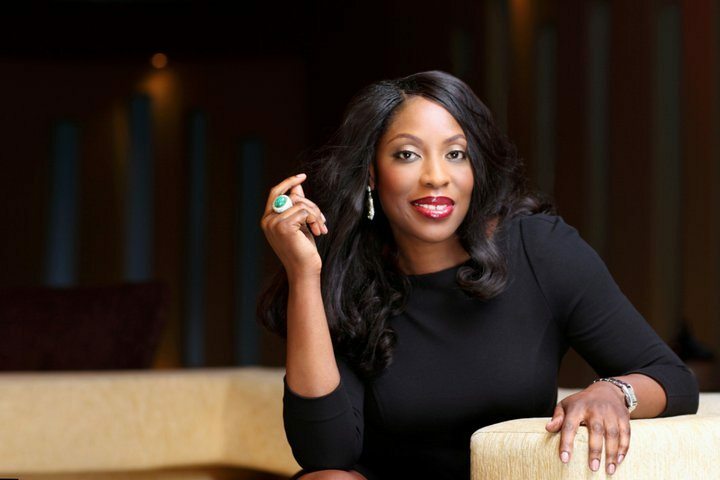 EbonyLife TV with an asset base of N2 billion keeps expanding its frontiers exporting Nigerian stories to the world as was evident with “Fifty,” EbonyLife’s first feature film, which was picked up by Netflix and released worldwide on the streaming platform two weeks after its Nigerian theatrical premiere, its no surprise she is called Africa queen of TV. Read ALSO: Transcript Of Tiwa Savage's Interview With PulseTV About Her Marriage: Read 21 Things The Singer Said! Born to a Nigerian Father and Cameroonian mother, Mrs. Awosika holds a Chemistry degree from the University Of Ife. Upon graduation she took a sales job at a furniture company. Three and a half months later, she resigned her position to set up her own furniture manufacturing company. She started in January 1989 with 2 carpenters, 2 sprayers and 2 upholsterers from the back of her father’s house. Today she is the Founder and CEO of The Chair Center Group which include thriving subsidiaries; The Chair Center Limited, Sokoa Chair Center Limited, Furniture Manufacturers Mart Limited, and TCC Systems and Services Limited. The Chair Center Group is a market leader in office furniture and banking security systems. She once famously said “I know my strength and I can see or smell an opportunity 10 miles ahead. I am innately proactive and I am also an ideas machine”. She is known for her campaigns to raise and mentor the younger generations of ladies to become successful women. The Ahmadu Bello University Zaria trained lawyer turned business mogul is a big player in Nigerian oil sector, with an investment portfolio that can make many men look mediocre. She started her first job in the oil sector while on National Youth Service as one of the junior counsels at Texaco Petroleum (before it merged with Chevron), and within a few years she had risen to the coveted position of company secretary. She moved on to start her own company, Britannia-U in 1995 with her severance pay of N 10 million from her former workplace and a $23 million loan from Union Bank Nigeria. With policy inconsistencies Britannia-U didn’t start operation until 2001. Britannia U was awarded 100% equity for the OML 90 oil bloc in Apaja, a bloc previously owned by Chevron. Her operations now cover the entire spectrum from exploration to production, refining,trading,supply and distribution. Britannia U also owns interests in shipping and Sub Surface Engineering affiliate companies. Her company has extended its services to Ghana and the US. Top of the league of successful women in Nigeria is the 65- year old Lagos born business baroness. The mother of 4 is Nigeria’s richest woman with an estimated worth of $1.6 billion. Mrs. Alakija, a graduate of Secretarial Studies from the Pitmans Central College London, She started her career in 1974 as an Executive Secretary at Sijuade Enterprises, Lagos, Nigeria. She later left for the former First National Bank of Chicago, now Fin Bank. She quit banking to pursue her passion for making cloths, she set up Supreme Stitches which over the years metamorphosed into Rose Of Sharon House Of Fashion, which specialized in making clothing for the elite. Part of her clientele included wife of the then military head of state Ibrahim Babangida. It was at this point she expanded her business interests, founding Famfa Oil. She is currently Vice Chairman of Famfa Oil, an exploration company with 60% stake in oil bloc OML 127 located at the Agbim oil field, one of Nigeria’s largest deep water oil reserves. She remains the Group Managing Director of The Rose of Sharon Group which consists of The Rose of Sharon Foundation, The Rose of Sharon Prints & Promotions Limited and Digital Reality Prints Limited.